China’s Communist Party just completed its so-called “third plenum,” where party leaders laid out a series of reforms aimed at addressing medium- to long-term issues in the world’s second-largest economy. In America, meanwhile, 29 members of Congress will meet this week as the latest, greatest 'super-committee' picks up the can that was kicked down the road last month. If the committee isn’t able to come up with a budget deal by Dec. 13, the world’s largest economy could suffer another government shutdown when the current continuing resolution expires Jan. 15, followed by another potential debt ceiling crisis a month later. In other words, China continues to plan years ahead while America is too consumed with partisan battles to successfully deal with issues of immediate importance, much less address long-term issues. 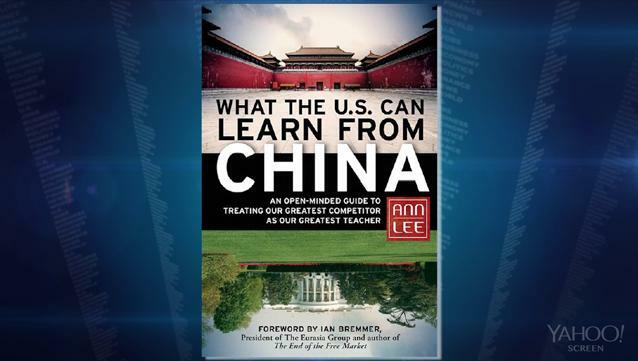 “Given the political situation in the U.S. is such that the focus is on just staying in office, that certainly detracts from more urgent issues that this country needs to talk about and do, frankly,” says Ann Lee, adjunct professor at NYU and author of What the U.S. Can Learn from China. "The U.S. now is too focused on short-term reelection [issues] so as soon as politicians get into office, the very next day they're thinking about fundraising." Of course, Chinese officials don’t have to worry about reelection – such is the benefit of one-party rule. But Lee says China’s system has more going for it than just the absence of serious political opposition. I would vote for that. What about you?